Nicola Formichetti‘s celebrates the diverse spectrum of fashion and beauty for issue 6 of Free Magazine. 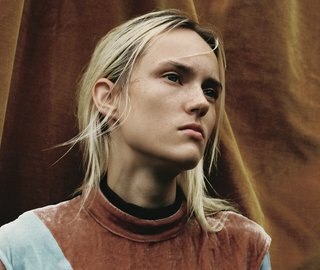 For the multi cover issue, the clairvoyant super-stylist, photographer and provocateur looks to the new generation of model faces for a united front against commonness and a colorful assault on the status quo. As cover stars Robin Hölzken, Duckie Thot, Zach Cox, Jules Horn, and much more show what style means to them, we spoke with Formichetti abut his visions for this new season, why the issue was centered around styles, and what true freedom means to him. Talking about his main inspiration behind the issue this season. I am constantly inspired by the people I get to meet and the projects I get to work on. However this idea really grasped at some nostalgia for me. Growing up in Japan, going around Harajuku and seeing all the different styles, everyone dressed in their own ways, really being true to themselves, was a really inspiring starting point. I wanted to pay homage to those unafraid characters, who really gave it their all and went for it with their personal style. How “styles” is a fashion language that connects us all. There are so many styles around, each of them have their unique defining traits that make them so recognizable with just one look. What I wanted to capture was something that was easy to identify. We choose to do the first ones that came to mind; the athlete, the pretty boy, the punk, the cheerleader.. and so on. We even ended up with a nice ‘Breakfast Club’ moment with the group shot. I’ve grown up seeing all these styles, the sub-cultures that began as small outcasts and that ended up creating their own recognizable fashion language. You know a punk when you see them on the street just as easy as you know a jock. For me, it doesn’t necessarily define their personality but more so their visual language towards others. How freedom of expression is mandatory for Free Magazine. Freedom to me is all about confidence and not being scared. In the case of this editorial, it was showing all the different visual aesthetics you can have. It represents those who are being true to themselves and dressing up how they want, not adjusting to the normal conventions of what you should or shouldn’t wear – it takes a lot of courage and confidence. You are subjecting yourself to being judged just by your appearance, and that is not easy. It means sometimes it will take you double the effort to have people believe in you, or even take you seriously. However, staying true to one self is so important – because in the end thats is you, and you should never try to hide who you are. Take an exclusive peek at the new Free Magazine issue below and be sure to pick up your copy on newsstands today.